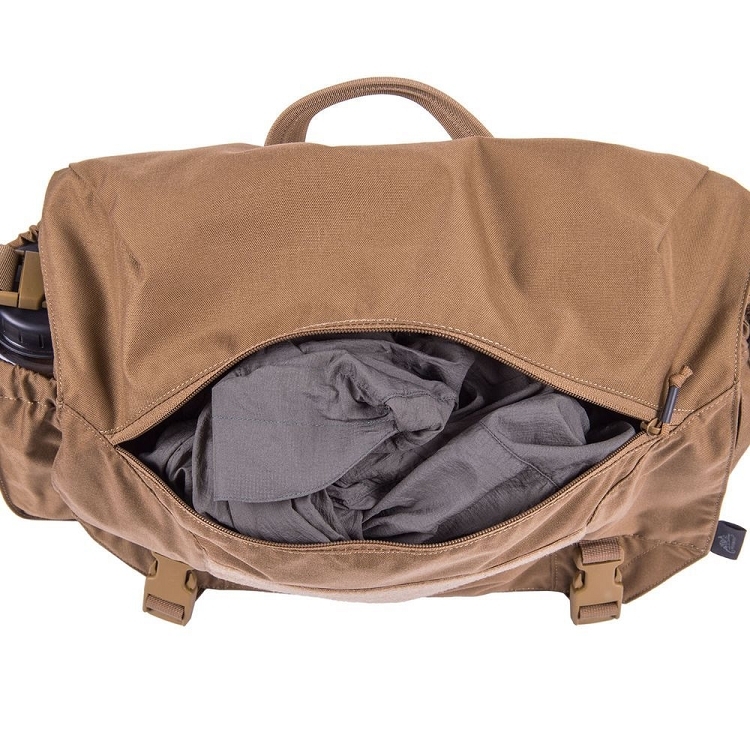 Urban Courier Bag Helikon-Tex Medium is a classic messenger bag, with features matching the day-to-day urban activities. Would make an ideal bike bag, student bag or just a bag you take going out to work. 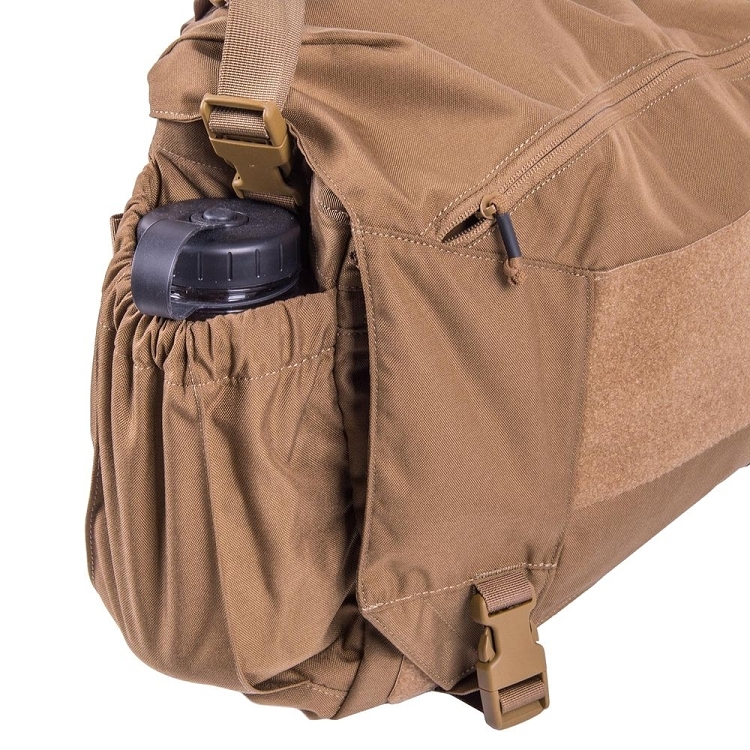 This project puts premium on durability and esthetics of the fabrics used, while numerous pockets should allow to optimize the essential kit carrying experience. 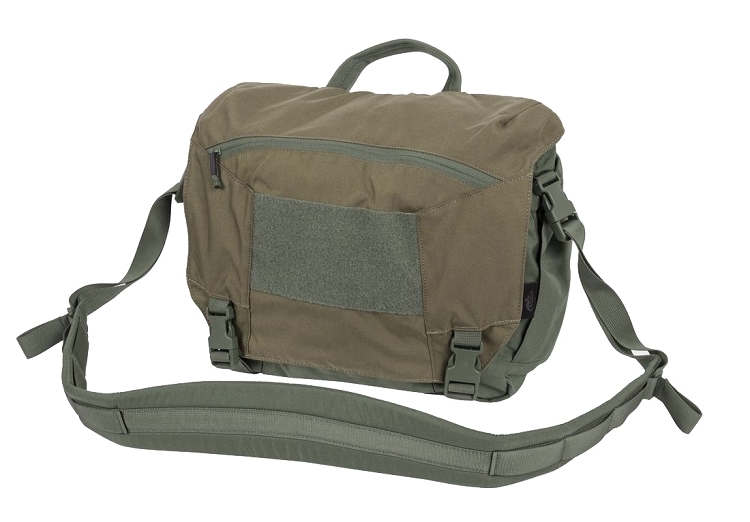 Universal Carrying Strap arrangement with its separate main shoulder strap and an auxiliary adjustable, detachable hip belt, allows for easy adjustment of the bag to the body and activities profile. 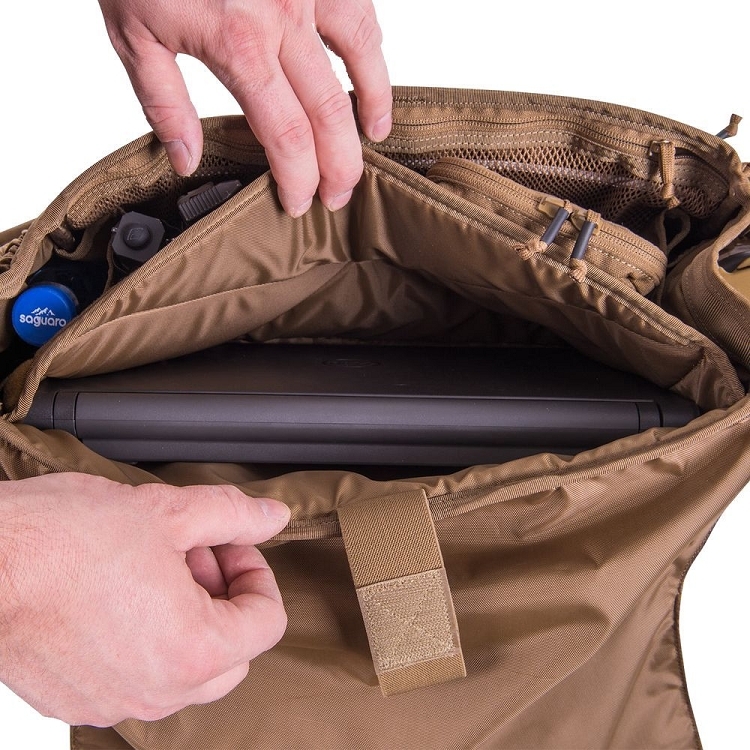 This is especially vital to the people who ride a bicycle or run a lot.Separate, lined and velcro-closed pocket would securely protect a laptop computer. Zippered pocket under the flap contains a Velcro panel, compatible with Versatile Insert System®. A separate zippered outer pocket inside the flap allows the access to items frequently accessed, without having to open the flap. The velcro panel may be used for personalization. On the blind side of the bag, from the body side, there is another discreet, zippered pocket. It doesn’t tempt a potential thief, as it is almost invisible, when the bag is close to the body – the access is likewise limited. The bag is thoroughly unisex in appearance. back dimensions; 35 x 29 cm.